With “Papa” John Schnatter going through a months-long meltdown and his eponymous company suffering the consequences, there appears to be an opening for a new player in the celebrity-fronted pizza-delivery market. 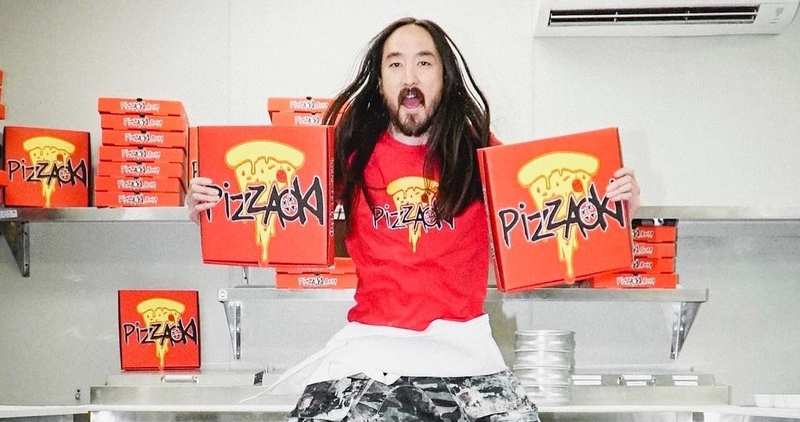 Enter Pizzaoki, a new business co-founded by famous disc jockey Steve Aoki, who happens to be the fourth-highest-paid DJ on Earth. Pizzaoki launched in Los Angeles, and, according to Forbes, it is poised for major expansion across the country, and, maybe someday, the world. Here are some questions you may have about the burgeoning celebrity-owned pizza delivery operation, plus all the answers. Looking for a discount code? Use promo code AOKIJUMP to save 20% on your next order! Who is Steve Aoki, exactly? As previously mentioned, the 40-year-old is an extremely successful DJ. 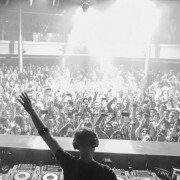 Aoki’s accolades include Best Set of the Season at the 2007 DJ Awards and Best Mix Album of the Year at the 2008 Billboard Awards. He’s been nominated for one Grammy, which he lost out on to Skrillex in 2013. Aoki has also appeared in several television episodes and movies, typically playing himself, as a famous person often does in such cameos. Also, his late father, Rocky, founded the ubiquitous Japanese steakhouse chain Benihana, which is so revered it was the setting for the greatest Christmas episode in the history of the American Office. One might not think a DJ has the required skills to run restaurants, but as he tells Forbes, Aoki already counts himself as an investor in five other restaurants, including a partnership with his brother in Bluetree Cafe, which boasts three locations in Hawai’i. He has the business in his genes. What’s the Pizzaoki business model? It actually has pretty low overhead. Since coming online July 9, the restaurant has operated out of Los Angeles’s Cloud Kitchens, which provides cooking space for multiple LA restaurants. It’s delivery only, with pies arriving at customers’ doors via third-party apps such as Postmates and UberEats. 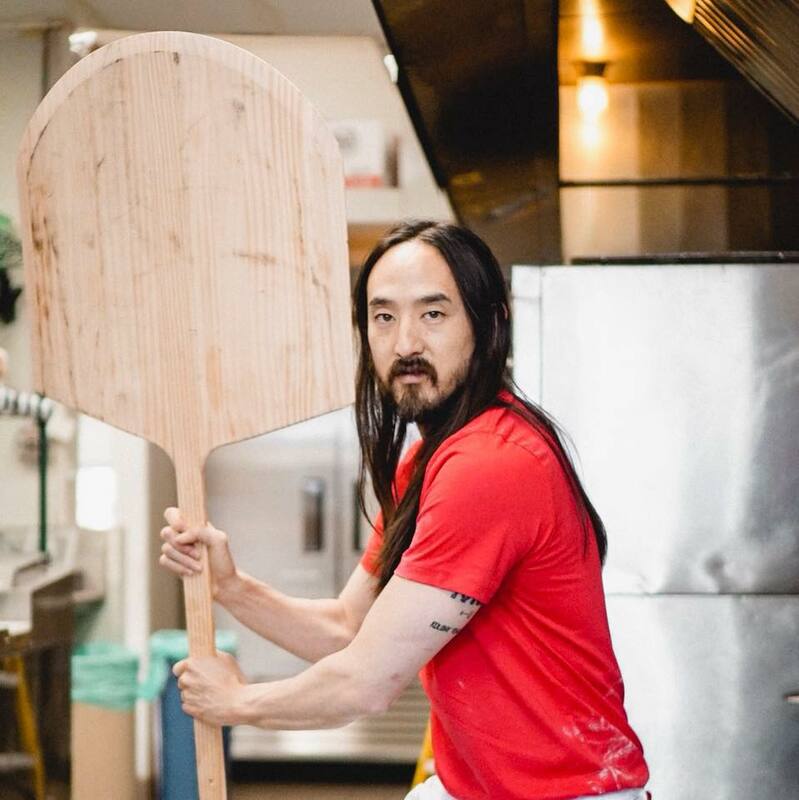 As a DJ, Aoki is no stranger to late hours, and Pizzaoki is appropriately open late: Sunday through Wednesday from 4 p.m. to 2 a.m. and Thursday through Saturday from 4 p.m. to 4 a.m. Of all Aoki’s restaurant investments, this is his first foray into the delivery-only sector. Aoki is attempting to forge ahead where others have failed. The delivery-only model for restaurants has been pegged as The Next Big Thing in recent years, partly due to the success of third-party restaurant-delivery startups. However, execution of the idea may be more difficult than conception. In May 2017, New York City-based delivery-only establishment Maple, which counted celebrity chef David Chang as an investor, shut down. Less than a year later, Chang’s own delivery-only spot, Ando, followed suit. Last year in San Francisco, Young Fava’s delivery-only experiment lasted less than two months. This came on the heels of another Fog City delivery-only business, Sprig, going under. So, Aoki may be facing a tougher path to delivery-only glory than he realizes, but, in his favor, chain pizza has been perceived by Americans as a delivery-only food for decades. 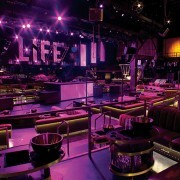 Pizzaoki serves eight pizzas, with names that reference Aoki and his music career, and ingredients that reference weed. 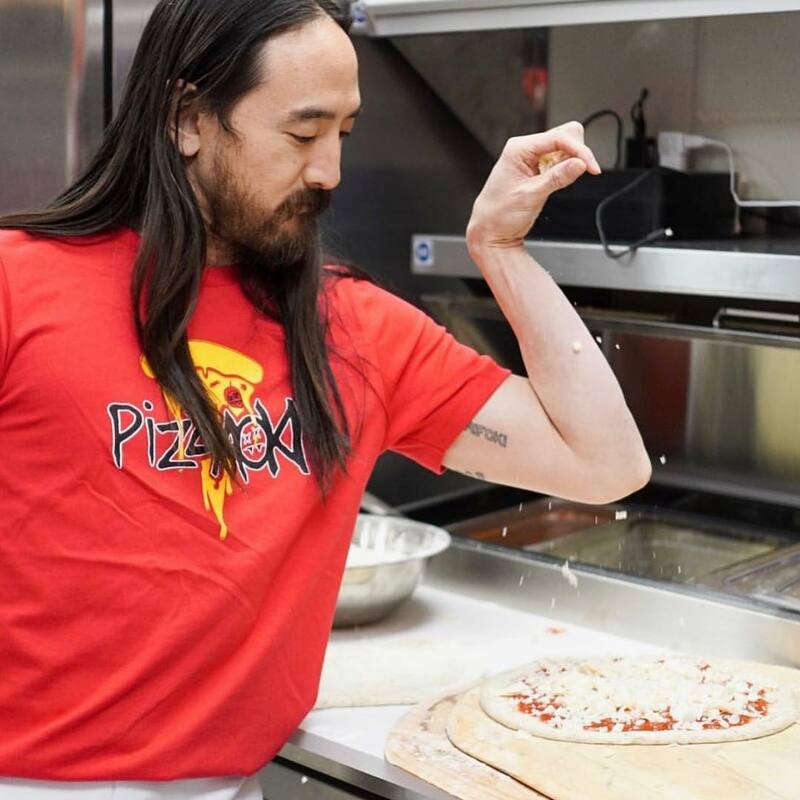 Pizzaoki serves eight pizzas, with names that reference Aoki and his music career, and ingredients that reference weed — the base of each pie is his “lit herb-infused” dough. The sauce is his purportedly his mother’s homemade recipe. The most elaborate pizza is Aoki’s take on the supreme. Officially known at his restaurant as “mayhem” — that’s the name of a Steve Aoki song, by the way — it’s topped with mozzarella cheeses, sliced pepperoni, ground sausage, meatballs, mushrooms, black olives, red onions, sweet onions, red bell peppers, and green bell peppers. Purists will be disappointed to learn there is a pineapple pizza, the “turbulence,” which also comes with mozzarella cheese, sliced pepperoni, and homemade garlic ranch sauce. No doubt, Guy Fieri will be stopping by to proclaim this creation as “totally out of bounds” in the near future. 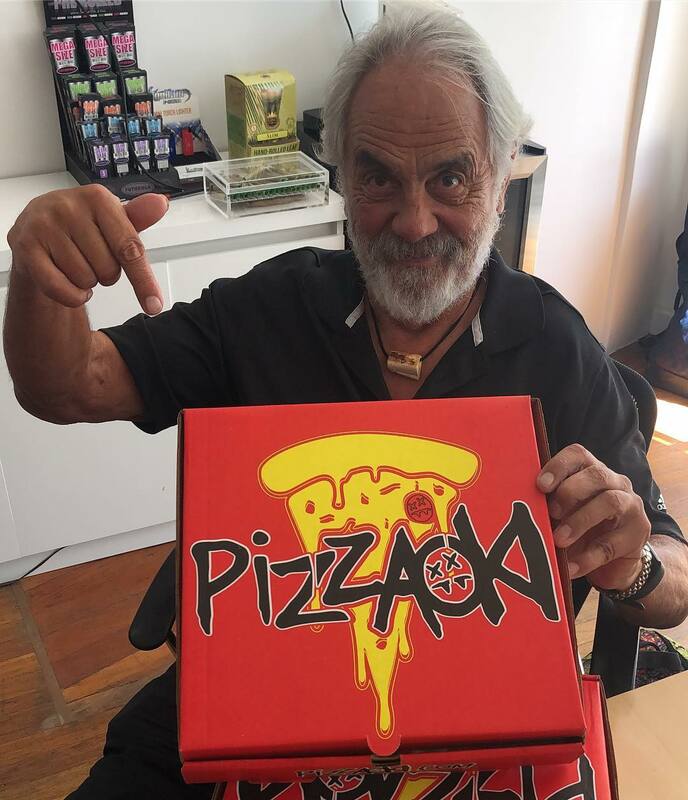 Does Pizzaoki have any celebrity endorsements? Endorsements include the infamous Tommy Chong! What do the customers think of Pizzaoki? Of course there are haters. Nobody wants to believe in a DJ-turned-pizza entrepreneur. “I love Steve Aoki but even he would be disappointed in what his pizza chefs are sending out to people,” says a less-than-enthused Yelper. Nevertheless, Aoki is undeterred. What is Pizzaoki’s expansion plan? Aoki and his business partner, Lawrence Vavra, are looking to ride the momentum that has come from their buzzy introduction in Los Angeles. The two reportedly want to open as many as seven more locations around LA and Southern California before the end of this year. 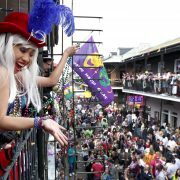 Next year, they’ll add a San Diego establishment; head north to set up shop in San Francisco, Oakland, and Berkeley; and look beyond the Golden State to markets in Boston, Chicago, Miami, and New York City, totaling 15 to 20 locations around the country, by Vavra’s estimates. What’s more, Aoki is already thinking about expanding across the Atlantic Ocean.